There are several ways this condition could occur, but the most common cause is because of trauma to the vertebral column. The severity of the SCI depends on the part of the spinal cord that is affected; an injury closer to the brain/higher on the vertebrae would affect the central nervous system more thus causing incomplete, complete or penetrating SCI, and paralysis, accordingly. 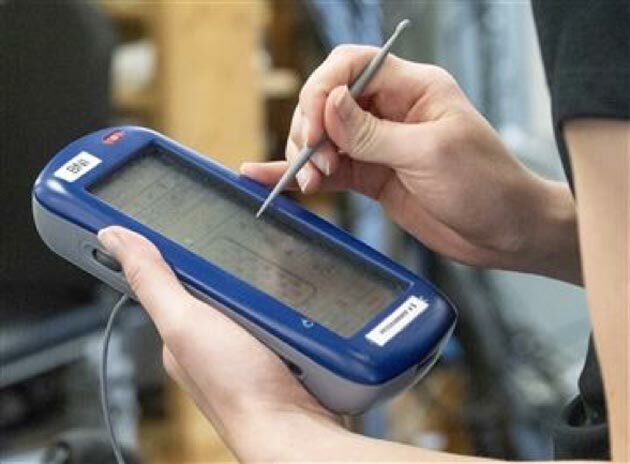 Such injuries are classified using the AIS (American Spinal Injury Association Impairment Scale) system. Although there have been some developments in the area (e.g., communication through brain-sensing and the development of ‘smart’ prosthetics), a recent investigation has shown that electrical stimulation on the spine via an implant, paired with a special physical program, can re-train the body and even help patients of paralysis walk on the ground again. This method was tested on four individuals who were paralyzed, and it was seen that, after the treatment, they were able to walk again; two of them performed without any external help. The paper related to this study was published in the Sept 2018 issue of The New England Journal of Medicine. 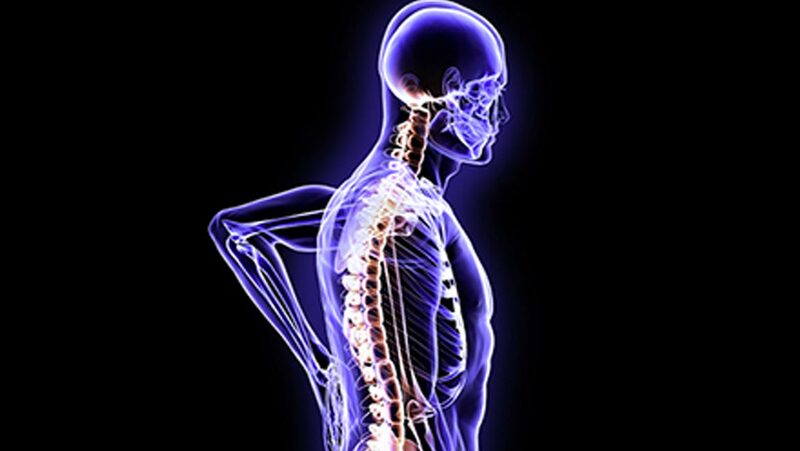 Previous experiments by the same group of researchers showed that epidural stimulation of the spine combined with rehabilitation could enable some movement to the area below the SCI. The hope of standing independently, which many patients of paralysis much desire, was also achieved as part of the study. 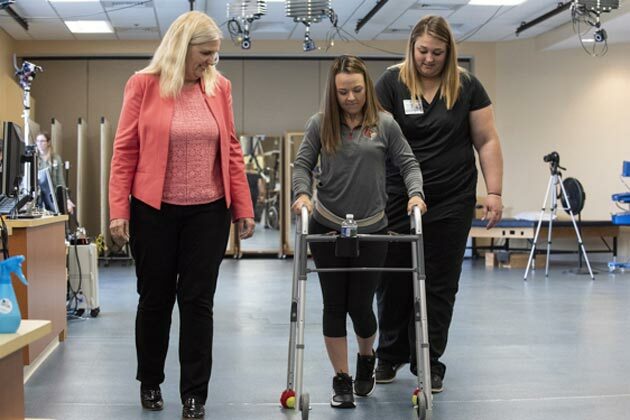 The latest development by the University of Louisville team claims that two of out of the four patients with motor complete spinal injury (i.e., no movement below the injury level with minimal sensation or AIS Grade A) with the assistance of a customized pain stimulator and intense training for the legs, were able to walk independently “over-ground” itself, and not just on the treadmill. The two patients — one with a damaged mid-cervical area and the other with mid-thoracic region injury — who walked on the ground, without support, endured 278 sessions of pain stimulation and walking exercises over a period of 85 weeks and 81 sessions for 15 weeks, respectively. The other two, although did not re-learn how to walk, could stand upright and move their limbs. Overall, all the four people admitted to the project showed impressive results and were able to move again. At the age of 28, Jeff Marquis was in a mountain biking accident that left him with a broken neck and paralyzed chest down, and also, with minimum movement to his arms. At 35, Marquis volunteered to take part in this project, involving the use of a pain stimulator implant on his spinal cord, which was conducted at the university. Following this specialized treatment, Jeff walked about 100 yards in one session and was excited to report that he now “gets out of bed” by himself and “lives independently” too. In addition, another study, published in Nature Medicine, conducted by researchers from Minnesota and UCLA observed similar results, using the same approach. 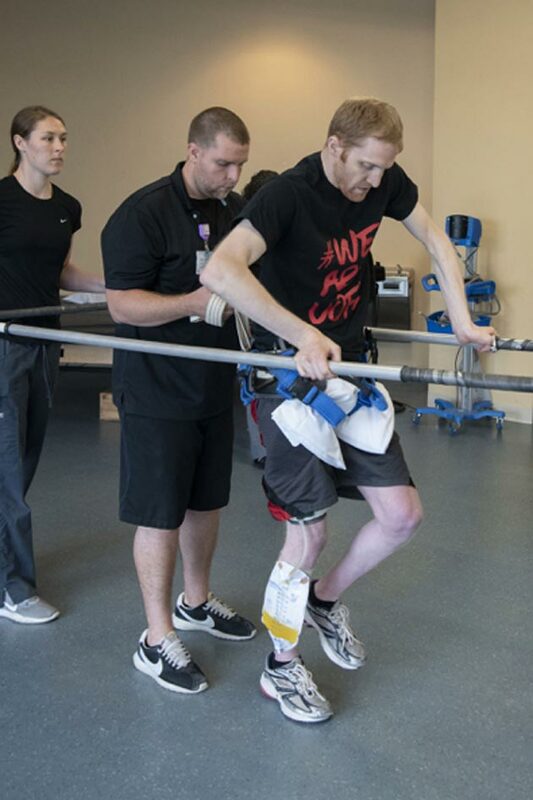 Paraplegic, 29-year-old Jered Chinnock, after 43 weeks of physical activity and the implant, could walk on a treadmill, and a bit of the ground too, with support. While there could be sometime before such pieces of research become functional and translate into reality, innovative advances like these definitely offer hope (and promise) to those incapacitated by lifestyle-altering conditions and disease.